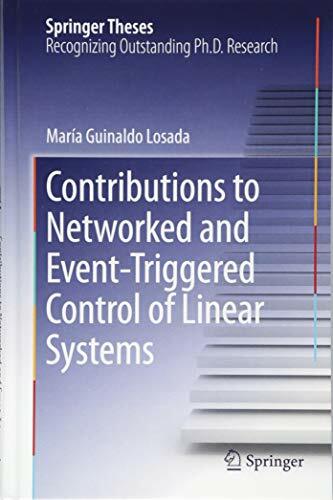 This book reports on a set of new techniques for resolving current issues in networked control systems. The main focus is on strategies for event-based control, for both centralized and decentralized architectures. The first part of the book addresses the problem of single-loop networked control systems and proposes an anticipative remote controller for dealing with delays and packet losses. The second part of the book proposes a distributed event-based control strategy for networked dynamical systems, which has been implemented in a test-bed of mobile robots, and provides readers with a thorough description of an interactive simulator used to validate the results. This thesis, examined at the Universidad Nacional de EducaciÃ³n a Distancia in 2013, received the award for best thesis in control engineering from the Control Engineering group of the Spanish Committee of Automatic Control in 2015.